There’s an opportunity this year to reshape what finance looks like – as long as that world is willing to ask itself some difficult questions, writes Daniel Madhavan, CEO of Impact Investment Group, as part of a series of 2019 predictions from leading experts across the social sector. If the banking and finance industry was a person it would be a guy sitting in his Maserati listening to a recording of his own voice recounting all of his wonderful achievements. While ignoring their neighbour who is gently tapping on his car window to warn him that his house is on fire. My hope and optimistic prediction for 2019 is that our industry can push pause for long enough to listen to what the community, our neighbour, has been trying to tell us. There are two sections of pathway we would need to walk for this prediction to unfold. The first part might be signposted as “the problem”, the second leg as “the aspiration”. But even taking baby steps would be progress. In the first steps, the finance industry will be figuring out how to solve a problem. I remember, a couple of years ago, hearing a story from a suburban business banker who had been at his bank for more than 30 years. When he started, if he went to a BBQ he would be proud to say where he worked and his bank’s place in the community. Nowadays the least safe BBQ conversation for our loyal friend is a conversation about his work and “the banks”. The banking and finance industry is filled with many great individuals. I’ve had the opportunity to work with people that I love, admire and remain inspired by. But those are not words or emotions that people often use about our industry. The inconvenient truth is the broader community’s perception of finance is bad and confidence has eroded. The industry has come to be viewed as parasitic, and its institutions have become villains. This doesn’t seem to be news to anyone except the industry itself, so it’s not clear that many of these institutions are prepared to confront this difficult reality. Leave aside, for a moment, shifting business models. As a starting point, most financial institutions are not even prepared to admit there is a problem. There’s a saying: “It is difficult to get a man to understand something when his salary depends on not understanding it.” Right now, salaries, bonuses, reports, reputations and careers depend on understanding the world in the same old way: That the highest goal of business is to return the maximum possible profit to shareholders, and if need be, to the exclusion of all else. Over the past 20 to 30 years financial institutions have become a bigger and more influential part of society, and with that comes a whole set of responsibilities the financial industry didn’t necessarily need to consider in 1989. So, there’s finance’s growing importance to society, mixed with eroding community support. That’s probably not an ideal mix, ie “the problem”. Ken Henry, in his role as the chair of NAB, has acknowledged that the bank has focused too much on maximising shareholder value instead of the benefit to the customer. He said it could take up to a decade to rebuild the bank’s culture. He’s been the treasury secretary, and he’s the chair of NAB for a reason; he’s no slouch. But there’s no sign that the very hard questions have been asked or answered: the society we operate in is changing the rules of the game, in the broadest possible sense. The signals are all there: the demand for a royal commission into the financial services overpowered the government’s resistance. Those hearings documented wide-ranging outrageous practices, providing evidence to support community sentiment, and fuel to take it further. This goes beyond saying we need to focus on the customer. It’s considering how staff are treated, how the community is affected, and how the environment is impacted. I know it’s pretty tempting to ignore those questions or just provide lip service answers. But I think the rules have changed, and this shift is only going in one direction. Good luck to those making an argument that community expectations for banks are heading lower. You are deluding yourself. So for those prepared to acknowledge the problem, there begins a new problem to solve; what needs to change? I know this because I get emails from them on a daily basis asking for a coffee to talk about how they can shift to a career in impact investing. Those folks are also considering leaving all of their tools and skills and experience behind to take a purpose-filled job at a not-for-profit organisation. So the hope for the finance industry is to demonstrate to that demotivated, disillusioned workforce that they don’t have to leave. They don’t have to be refugees from finance. There’s actually an opportunity to reshape what finance looks like – as long as that world is willing to ask itself those more difficult questions. The opportunity is for the financial industry to put their people’s amazing skills and experience to work bringing more meaning to their profession and greater value to the community. For this aspiration to become a reality, institutions must both identify what needs to change, and begin to genuinely move their business models, practices, cultures, incentives and outputs towards a broader purpose. One that acknowledges the opportunity they have to contribute to society in ways that do not appear on their profit and loss statement. One that aspires to not just meet community expectations, but to surpass them. So my optimistic prediction for 2019 is that the finance industry will take this moment to deeply understand the changing rules, and join them to the aspirations and abilities of our people. To aim well beyond “a social license to operate”. To move beyond the self-deluded person in the driveway, to the respected neighbour who is great to talk to at BBQs. 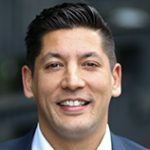 About the author: Daniel Madhavan is the CEO of Impact Investment Group – a leading Australian impact funds manager and co-investor. IIG offers investments in solar, sustainable property and precincts, and impact venture capital. Sign up for their mailing list at impact-group.com.au. Daniel Madhavan is the CEO of Impact Investment Group.